Despite this lovely warm weather we’ve been having, I have been deep in fall baking mode. While visiting Chicago last weekend I simply had to do some apple picking; one of the few shortcomings of beautiful Colorado is its lack of apple orchards. I came home with several humongous honeycrisp apples to make good use of, so of course I had to make one of my Famous Apple Pies. I also found these delicious Pumpkin Spice Hershey’s Kisses while at the grocery store a few days ago. I was momentarily distracted by the shock that Hershey’s actually made a flavor of chocolate treat that I had yet to try… but within moments I had a great idea for a new autumn recipe. These adorable Kiss Cookies are tasty and festive – call them “Wicked Witches Hats” and they are perfect themed treats for a Halloween party. 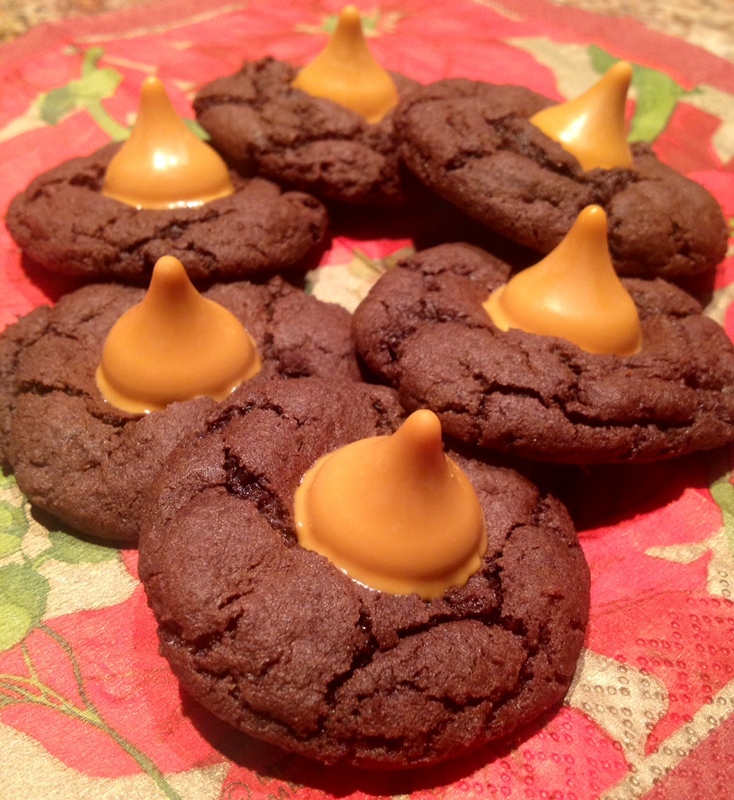 The deep chocolate flavor of the cookies pairs perfectly with the rich and sinful sweetness of the spicey Kisses. They are delicious straight from the oven when the Kiss is slightly melty, but can be stored for up to two weeks in an airtight container. This recipe makes about three dozen cookies and can easily be doubled – or even tripled – for a big event! Preheat oven to 350 degrees. In a large bowl, beat butter, white sugar, and brown sugar until fluffy. Add the Greek yogurt and egg and beat until smooth. In a medium bowl, whisk flour, cocoa powder and baking powder. Stir flour mixture into butter mixture until just incorporated. 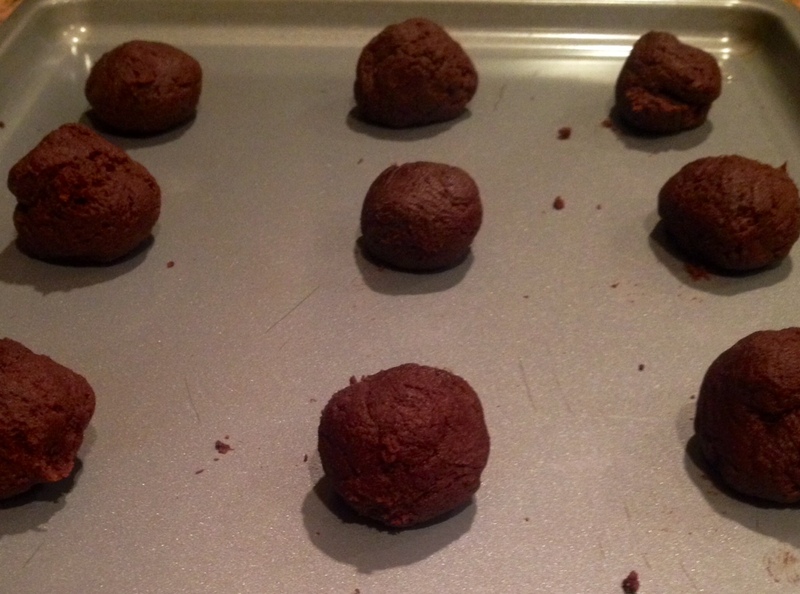 Using tablespoonfuls of dough, gently roll cookies into balls. Place 2 inches apart onto a non-stick (dark) baking sheet. If your baking sheet is not non-stick, line to sheet with parchment paper. Bake cookies for 8 minutes. Remove from oven and let cool for 1-2 minutes. During this time, unwrap the Hershey’s Kisses. 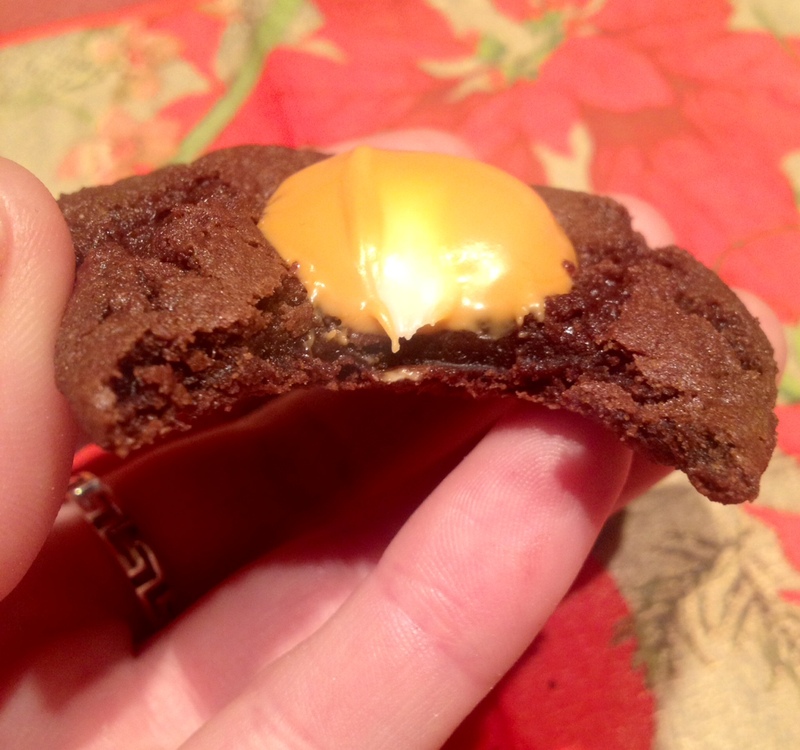 Place one Hershey’s Kiss on top of each cookie, pressing down gently. Do not move the cookies until they are completely cool and the kiss has a chance to set. 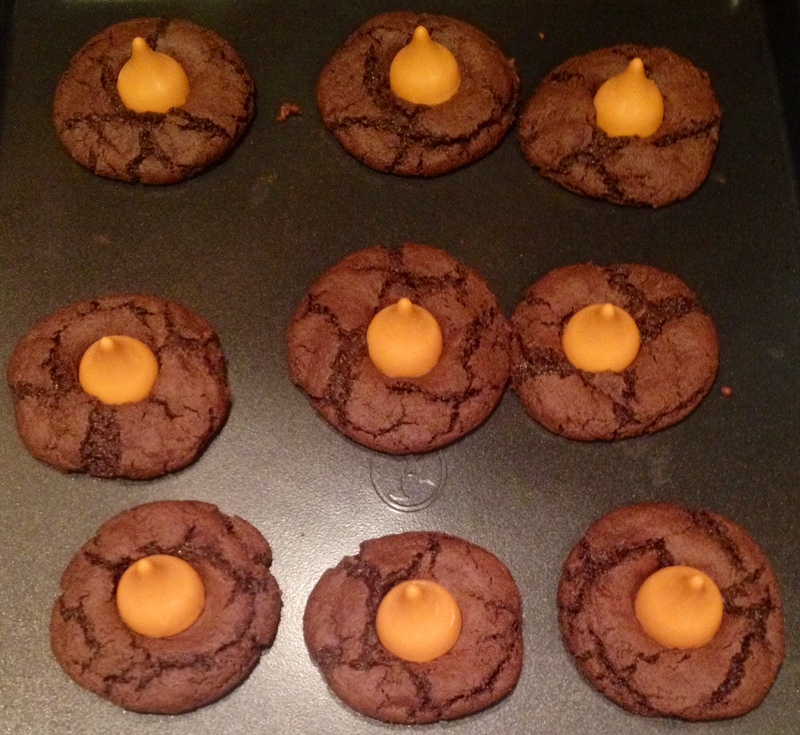 Posted on October 6, 2014 by Jilly G	• This entry was posted in Recipes and tagged autumn, baking, chocolate, cookies, fall, hershey, pumpkin, spice. Bookmark the permalink.